There is nothing worse then realizing that you just don’t have enough money to make it until your next payday. Or there are weeks when you have an unexpected expense and really, really don’t want to reach for your credit card to tide you over until your next payday. Either situation kind of lags. 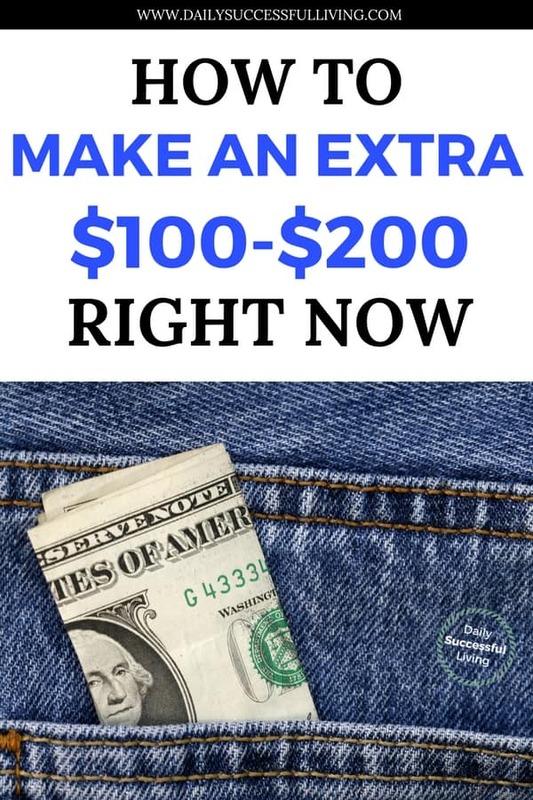 Although I don’t have a quick fix for either issue, I do have a few suggestions for how to make extra money on the weekends. I know, that is the most basic suggestion in the world, but honestly, it works. Particularly nowadays when there are so many online selling sites available. I’ve found the best luck with selling items on the Facebook market page. I’ve used Craigs List and Offer Up as well. However, what I like about Facebook is the ability to do a little bit of screening beforehand. There is a certain level of comfort that comes from being able to see someones profile and have a general idea of who they are based on their pictures. Obviously, this isn’t foolproof, but when combined with meeting in a public place is marginally safe. Whatever you decide, make sure you put your safety first. If you are planning to sell stuff kill two birds at one time, spend some time cleaning out your garage, basement or spare bedroom. I can guarantee that you have a few things lying around you don’t use. If you have enough stuff, it might be worth having a garage sale. After all, one man’s junk is another man’s treasure! If you need some inspiration to clear out the junk check out this book. This book was life-changing for me. This won’t make you money this weekend (it takes 4-5 weeks), but if you have a bunch of extra clothing, I love selling my clothing through ThredUp. Check out this post for more info: Is Thredup Legit? Style on a Tight Budget. I also sell a lot of my tech type clutter (DVD’s, CD’s, old phones, books) using Decluttr. It is seriously the easiest way to get rid of extra’s in your home. 2. Ask your neighbors/friends if they have any extra work that needs to be done around their house. I know asking your friends and neighbors can be embarrassing, but I can guarantee most of them have been in the same position at times as well. There is absolutely nothing wrong with admitting that you need extra money and are willing to work for it. There are always a few random house tasks that people hate doing. Mine is housecleaning. I hate cleaning and often hire one of my neighbors to help. These are all simple things that I’ve paid people to help me do in the past. I’ve got friends who regularly post on Facebook that they need money and are willing to do X, Y, or Z if anyone needs their services. I can guarantee that you have a neighbor that needs a little bit of help with any of these things. 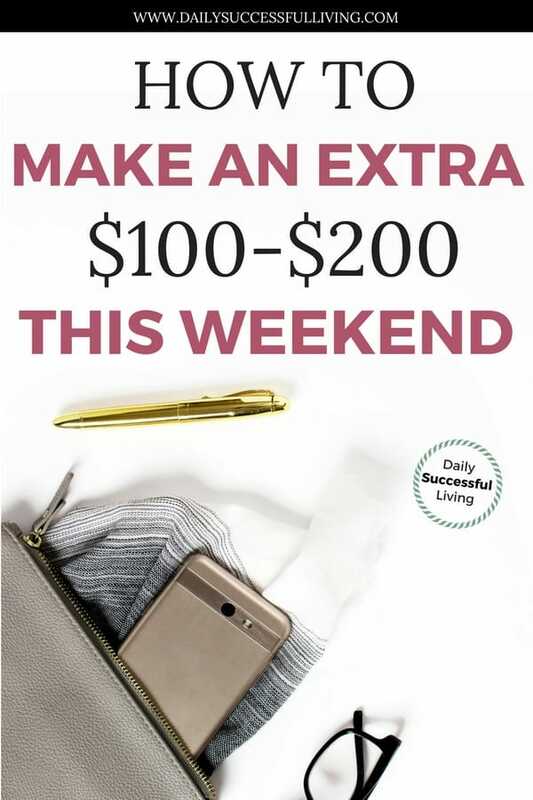 You may not make a ton of money, but for a couple of hours work, you could come away with $50-100. If you have a particular talent, put it to good use. I’ve got friends who make extra money cooking, sewing & teaching. One of our neighbors recently made cinnamon rolls for Easter weekend and sold a dozen of them for $20. I’m not sure how many she sold total, but the last time I saw the Facebook thread she had 12 orders. That isn’t bad money for a few hours of extra work on the weekend. Just for the record, I ordered some and they were AMAZING. Cinnamon rolls are my weakness. The trick is finding a skill that you can easily turn to money by advertising your services via social media. Be creative and think outside of the box. What is one thing that you can do in your sleep that others may struggle to do? Is this a skill that you can teach? Or is this a skill you can share as an end product? Depending on your employer, working some extra hours can be a quick and easy way to earn some extra cash. Sometimes the easiest way to earn extra money on the weekends is the most basic. Even if you are on salary it doesn’t hurt to ask your boss if he has additional projects that are outside of your normal work scope. This may help you get a promotion and hopefully earn a bit of extra money. Just be careful to make sure they know this is beyond your normal scope of work and that you expect to get paid for your weekend work. None of these weekend money making ideas is going to make you rich, nor will they solve the larger money issues that are causing your financial problems. What they will do is hopefully get you through a tight spot financially. Once you’ve gotten through the weekend, it is time to really assess your personal finances and see why you are constantly broke, particularly if you make good money. It may be as simple as finding and eliminating your spending leaks. You may need to sit down and do a budget and then actually follow your budget. It may be time to start your debt elimination journey. You need to take a hard look at your personal finances and make some real changes. If you just don’t make enough money then it may be time to start a permanent side hustle that will help you get ahead long term. If any of this sounds familiar then it is time to get out of your comfort zone and change some of your financial habits. PS. One of the best ways to change your financial habits is to create a basic personal financial plan. This posts walks you through creating your first personal financial form and has a free downloadable personal financial planning template.